So I had a customer in Tampa FL call me a few weeks after her carpet cleaning to let me that her carpet spots that I removed had come back. After a deep cleaning some previous spots may come back. These recurring carpet spots are usually caused by wicking or residues that were't removed during the cleaning process. If the spots return almost immediately as the carpet dries then it is most likely a wicking problem. Wicking can occur when soil under the carpet gets wet from the cleaning process. As the carpet begins to dry the soil wicks up into the carpet fiber much like fuel in an oil lamp moving up the wick. 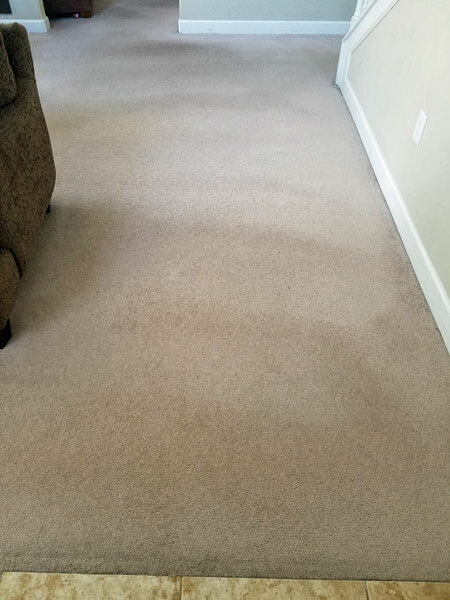 The other type of recurring carpet spots are from residues on the carpet fibers that were not removed during the cleaning process. 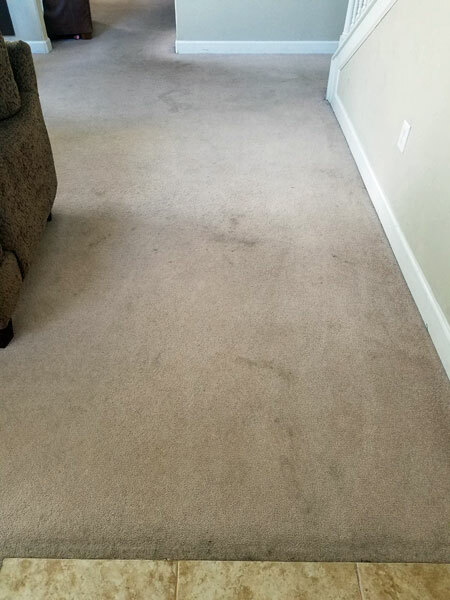 Residue spots usually show up 3 - 5 days after a carpet cleaning as soil from shoes and other traffic moving through the area and adhere to the residues on the carpet fibers. This customer was on vacation for two weeks after the cleaning and the spots started to show up a few days after they got home. This was most definitely a residue problem. The good news is that residue spots can be removed with the right cleaning agent. I scheduled her for a follow up inspection and cleaning. It was clear that the spots returned in the same places they were before, also indicative of residue spots. Using a buffing pad and an encapsulation solution I was able to treat her recurring carpet spots with confidence that they would be gone for good. To remove recurring carpet spots in Tampa FL call Chem-Dry of Tampa today.